Are you missing one or more tooth? Have you heard about dental implants? Cheap dental implants in Melbourne is one of the most preferred tooth replacement options for patients suffering from missing tooth. During this procedure, your oral surgeon will surgically place an artificial tooth into your jawbone. Then the artificial tooth gets fused with the jawbone and act as a long-term tooth replacement option. Decades ago, the fixed bridge or removable dentures were the preferred procedure for missing tooth. Fixed bridges need the support of the nearing healthy teeth which in turn cause a negative impact on them. On the other hand, removable dentures may slip while eating and speaking. 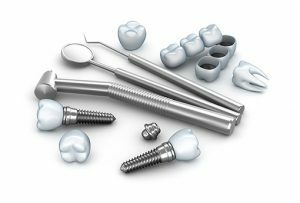 A dental implant is a screw-shaped material made of titanium metal. Your dentist will place the dental implants inside your jawbone and allow it for osseointegration process. Osseointegration is the process by which the implants and your jawbones get integrated, and the implants act similar to your natural tooth root. This process may take nearly 5 to 6 months depending on your oral health. After the osseointegration process, your dentist will place the crown or the permanent tooth on the implant, and it acts similar to your natural tooth. Unlike dentures, you no need to replace the implants as it lasts a lifetime with proper care and maintenance. There are various benefits of undergoing dental implants treatment. Even though the dental implants cost in Melbourne is high, most dentist and the patient choose dental implants procedure to replace the missing tooth due to the various advantages it offers. Here we have mentioned a few benefits of undergoing dental implants treatment. You no need to take any additional care for dental implants. You can brush and floss your dental implants just like your natural tooth. While placing dentures, you need to rely on the adjacent teeth to anchor the teeth, and it may affect them. In case of dental implants, there is no need to anchor any teeth so it won’t affect the adjacent teeth anyways. You will feel comfortable after undergoing dental implants treatment. But in case of a removable denture, you may feel discomfort while eating and speaking. With proper care and maintenance, your implants can last a lifetime. You no need to replace it many times as it won’t get a failure. While you are missing a tooth, you may feel discomfort to eat your favorite foods. After undergoing dental implants treatment, you will feel comfortable to eat all your favorite foods.